We are a one-stop window shop. Other repair companies will tell you all you need is a simple repair, replacement companies will tell you all you need is a replacement. Our company repairs and replaces windows and doors, so we will assess your situation and advise you with confidence, what the best course of action is for you, your windows, and your home. Whether you’re repairing your windows or replacing them, we offer the most affordable window solutions for your home. We offer great products and great customer service without the price tag of other large companies with a lot of overhead costs. We are a member of the Better Business Bureau (BBB) since 2004. We have proudly been serving Calgary and the surrounding area since 2004 and we are one of the longest serving repair company in Alberta. We are members of the BBB with an A+ rating and are licensed, bonded, and insured. We have the best warranties in the business!! 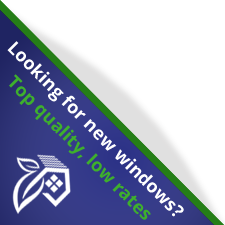 We lead the window replacement industry offering a 10-year installation warranty. In addition, we are backed by some of the best manufacturer warranties on our products. If there are any problems with your windows or doors, we’re only a phone call away, and we’ll coordinate service calls so you don’t have to. We offer superior products at the most competitive prices. Additionally, we use only the latest technology on energy efficient, Energy Star rated, CSA approved windows, saving you money on energy costs. We use maintenance-free custom windows and doors. The solutions we provide are made just to fit your home. We offer expert installation and quick and timely service. Our own trained and certified installers are always paying attention to detail and treating each installation with the same care they would for their own home.